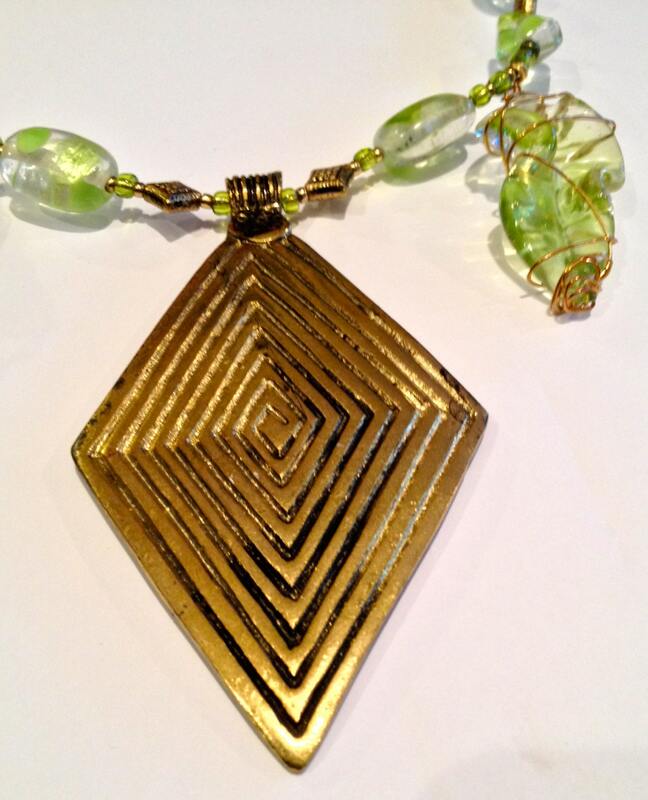 Stunning green and golden beaded necklace with diamond brass pendant and earrings set. 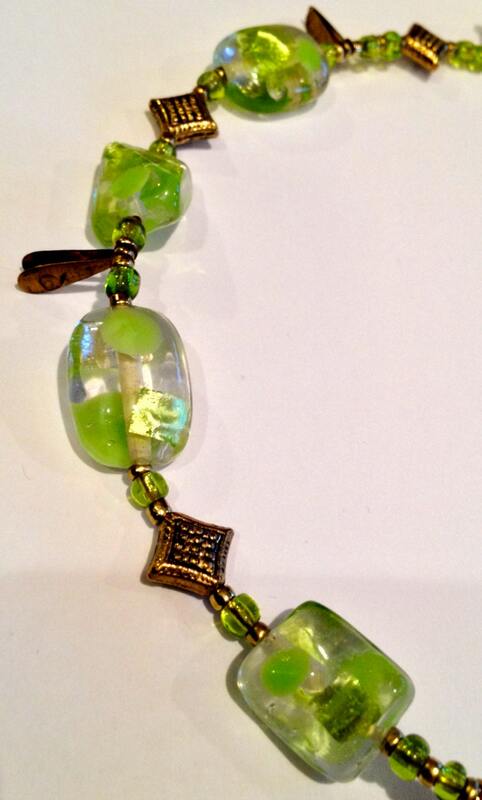 Colors are enhanced through the transparency of the beads and light that passes through or reflects upon them. 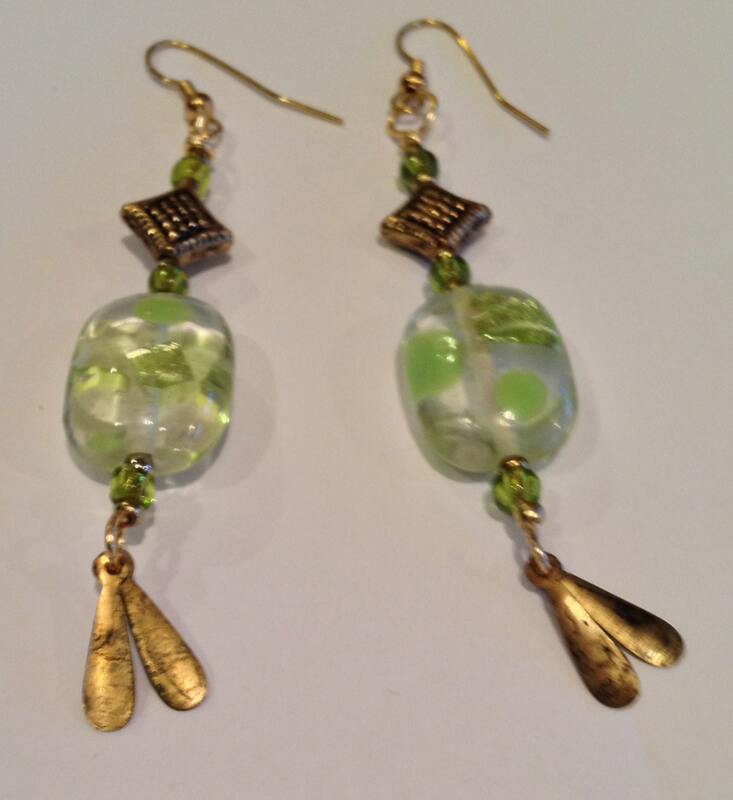 This is a special set for any occasion during the day or evening that will make you shine. 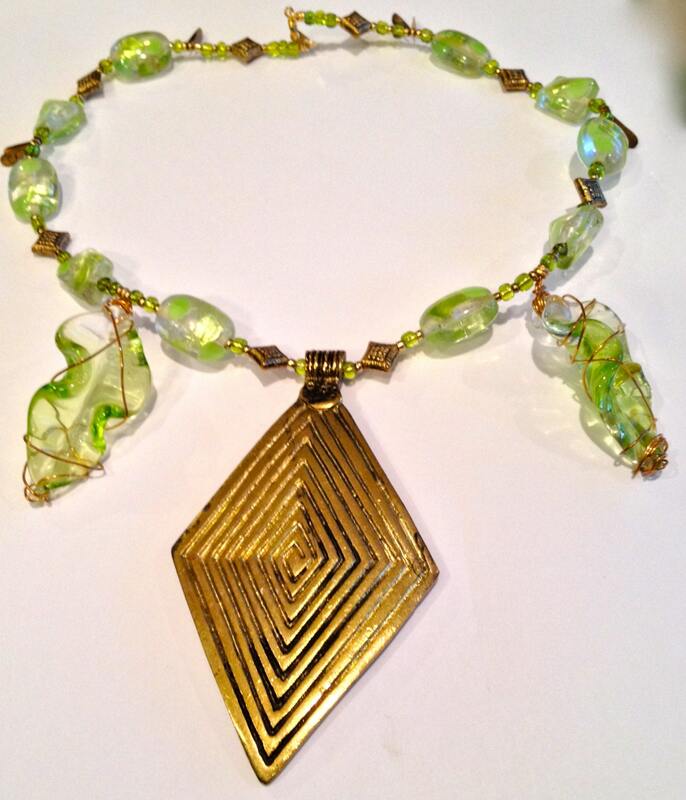 Amazing combination of glass, brass, golden and green beads are used to make this unique piece. The necklace measures 19.75" long with a 4" pendant The clasp consists of a golden spring-hook and eye.